Restaurant Week returns to Columbia and Montour Counties with specials, discounts, and live music March 29 – April 7, 2019, at restaurants in Bloomsburg, PA, and nearby communities. In addition to Bloomsburg, the 23 participating restaurants and pubs are located in Berwick, Benton, Danville, Catawissa, Elysburg, and Jerseytown. Some restaurants have a special offer throughout the week, while others feature one special night. The Inn at Turkey Hill Farmhouse Restaurant will celebrate Columbia Montour Restaurant Week on Thursday, April 4, 2019, by offering half price appetizers, tapas, and small plates. Many of the current menu offerings are vegetarian and/or gluten-free. Some of the seafood choices include Blackened Crab Cakes served with Fire Roasted Tomato-Corn-Black Bean Salsa and Avocado-Lime Remoulade, Sesame Seared Ahi Tuna with Seaweed Salad and Cucumber-Wasabi Sauce (GF), and Parmesan Jumbo Scallops with Sun-Dried Tomato Pesto Cream Sauce (GF). Meat lovers might choose Merlot Lamb Lollipops served on Fire Roasted Tomato-Rosemary Quinoa, and finished with Merlot-Balsamic Reduction and crushed pistachios, or Beef Tips over Cheddar-Scallion Grits (GF). The many vegetarian options range from an Artisan Cheese Plate or Asparagus & Green Bean Tempura with Honey-Soy Dipping Sauce to Vegetarian Meatballs à la Vodka or Grilled Vegetable Ravioli with Basil Pesto Cream Sauce. The Turkey Hill Brewing Company Pub & Grille will feature a special Restaurant Week menu with suggested beers as well as live music by Vinegar Creek Constituency, the same evening, Thursday, April 4, 2019. 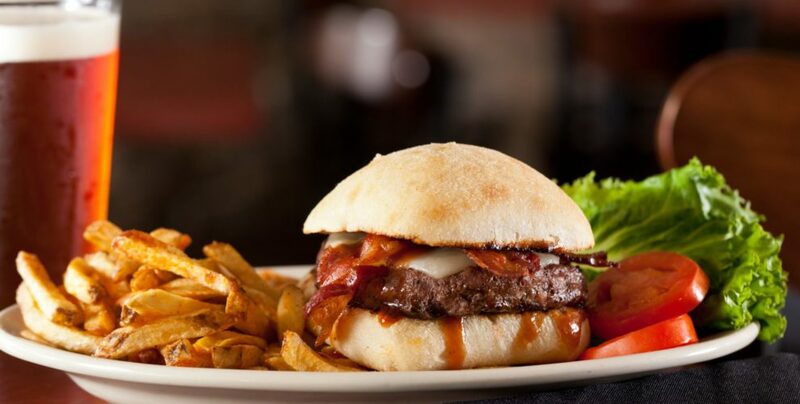 Their pub fare features comfort food entrées, burgers, and sandwiches. Some of the dozen hand-crafted brews on tap range from Barn Dance Blonde Ale and St. Abban’s Irish Red Ale to Black Heart I.P.A., to Donny’s Irish Dry Stout on Nitro and Fog & Flame Espresso Dry Stout. During Restaurant Week, the Brew Pub also will feature live music Saturday, March 30, and Sunday, March 31, 2019, from 8:00 – 10:00 pm. Chris Kearney, Justin Mazer & Ian O’Hara will be performing Saturday, and Tom Graham on Sunday. Make plans now to join us in Bloomsburg for the 2nd Annual Restaurant Week. To make reservations at The Farmhouse Restaurant, please give us a call at 570.387.1500 or go online. To reserve your room at the Inn, check availability for the dates you prefer. 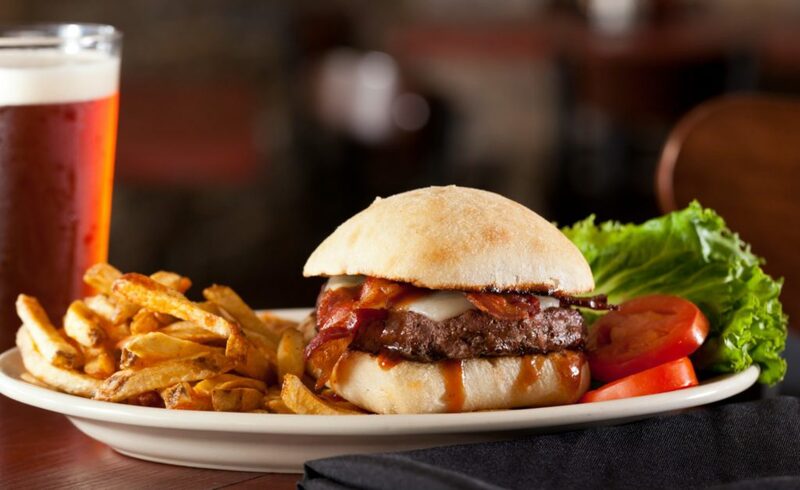 A good time at the Turkey Hill Brewing Company Pub & Grille does not require reservations! For additional information about Restaurant Week and offers from other restaurants, please visit the Restaurant Week page on the Columbia Montour Visitors Bureau website. This entry was posted in Bloomsburg hotel, Food & Drink, Uncategorized and tagged Bloomsburg restaurants, Brew Pub, farm-to-table dining, Live Music, PA restaurant week by admin. Bookmark the permalink.